The “Catholic Church mission in Fiji initially started in Lau in 1844 with the arrival of Bishop Bataillon, who traveled from Wallis and Futuna with Frs. Roulleaux and Breheret, brother Annet, and two catechists from Wallis, Pako and Apolonia; the group included four Fijians, whom they met on the way in Tonga. The mission was a tale of trials and hardships and there were hardly any converts, but the priests were zealous in their witness of the faith. Catholic Church abandons Levuka missuon in 1855: “From 1850–1861 the same tale of hardships, trials, and opposition—especially from the Methodist—were experienced in mission stations of Levuka with Fr. Mathieu, and Rotuma, with Frs. Favier and Villier. 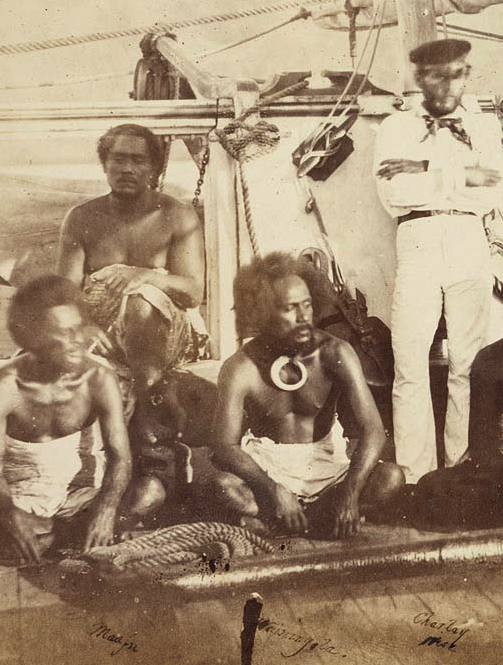 Both mission stations were eventually abandoned, Rotuma in 1853, and Levuka in 1855. 1862 conversions: “Significant to note was the signing of the Treaty of Religious Freedom in 1858, which eventually brought some relief to Catholic missionaries. The year 1861 was the year of conversions, and in 1862, Fr. Breheret was appointed Prefect Apostolic, as Fiji became a Prefecture. “Great leaps followed in the next 100 years; 700 baptisms were reported in 1865; by 1879, there were 7,600 baptized Catholics. In the 1880s, Fr. Breheret’s last year in office saw the development of schools throughout the country in 1887 and the appointment of Monsignor Vidal to be the Bishop. “Fiji became the Vicariate Apostolic of Fiji, with his title as Titular bishop of Abydos. Bishop Vidal’s legacy was the number of schools and large stone churches he built in all the established mission stations. It became the envy of others as the Catholic Church finally became part of the Fiji landscape, an established institution deemed to be forever part of Fiji’s history. Bishop Vidal died in 1922 and had prepared well for the Church because his successor, Bishop Nicholas’s main focus was education. The Marist missionaries’ whole goal was the formation of Christians and education was the heart of their missionary work. By 1941 almost all the Catholic schools were registered with the government, thereby eligible for government subsidy. The 50s and 60s saw the arrival of Columban missionaries, and recently the Salesians whose main work was initially in the parishes. Later they moved out into other ministries. Fiji finally became a diocese in 1966, named the Archdiocese of Suva, and its first local bishop, Archbishop Petero Mataca, was installed in 1976 (Knox 1997:1).